Does the recent influx of rain have you dreaming of hot, sunny summer days? Us, too! 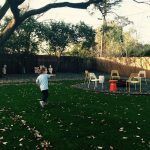 At LawnPop, we are excited for summertime and spending countless hours outdoors. And, the best part is that you can put the lawn mower and weed wacker aside and spend more time relaxing al fresco or on the playscape with your kids! All thanks to LawnPop. In past summers, we spent Saturday afternoons schlepping the weed wacker and lawn mower from the garage to the yard – spending hours working on maintaining a green lawn. Not anymore. This summer, we will be playing Captain aboard a play scape ship full of kids, overlooking a sea of ever-green artificial grass. Or, simply spending the afternoon enjoying the view of an impeccably maintained yard – with zero effort or time away from what really matters. 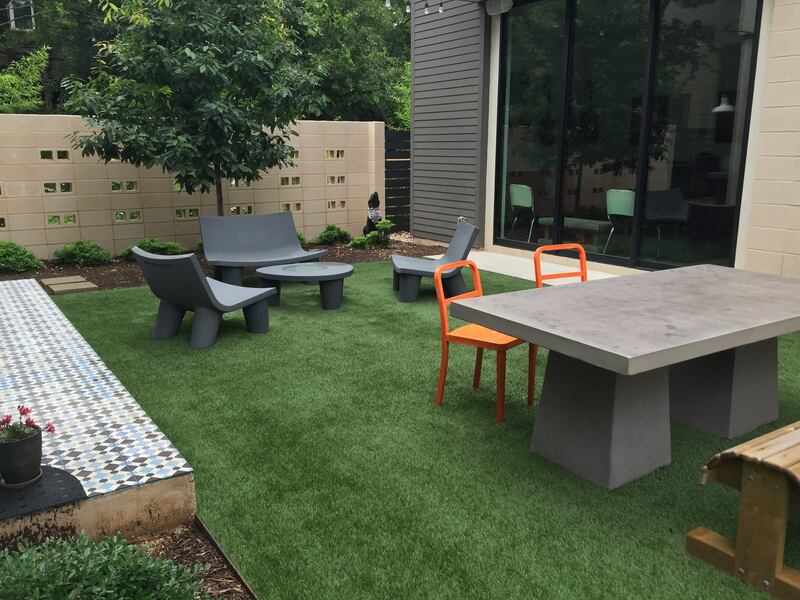 Still considering a LawnPop synthetic turf yard? Call us today for a free estimate and change the landscape of your yard in time for summer fun! Less maintenance, more relaxing. All summer long. How is this turf maintained? Do yo vacuum it? Does it fade? Thanks for the questions! You can use a shop vac type of vacuum. You can also use a blower and a rake for leaves. It UV protected so it doesn’t fade.